Will the Leafs be able to resist? There is no need to repeat it again and again: the Toronto Maple Leafs are not looking to trade free agent forward William Nylander to anyone despite the contract dispute still taking place between both parties. However, this is not stoping the Minnesota Wild from working on a perfect pitch to throw at the Leafs if ever time keeps running out on resigning the free agent. In his latest article from The Athletic, Tony Abbott reveals some more information on the Wild’ interest to make a pitch for Nylander. He makes the case for the Wild to make this pitch if the contract situation cannot be resolved. Abbott suggests a package of defenseman Jared Spurgeon and winger Nino Niederreiter might tempt the Leafs. 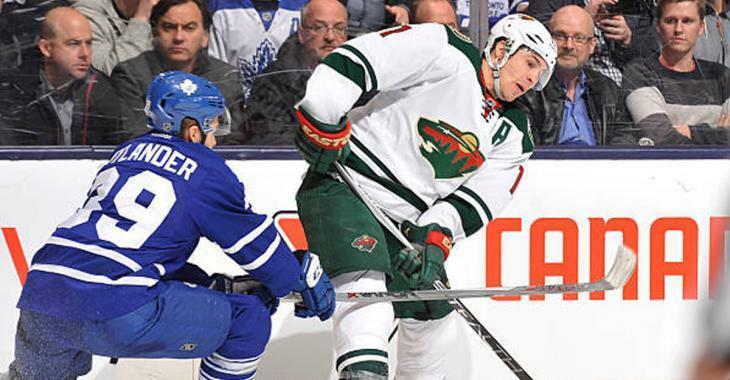 Nylander would be an upgrade over Niederreiter, though parting with Spurgeon could be a risky move for the Wild. “If Dubas does decide to field offers for his star young forward, Minnesota could be in a position to make that deal happen. This might seem strange, as Minnesota doesn’t boast a player with the star power that would make for an equal one-for-one swap for both sides,” explains Abbott. It is no secret that the Maple Leafs have been looking to bolster their blue line, as it was a major problem last spring during the first round of the playoffs against the Boston Bruins, and seems to remain one as Toronto wins this season but struggles with allowing many goals per game. The Wild could surely use the offensive boost, since that they have only won one contest since the start of the 2018-19 season and star players like Zach Parise and Eric Staal are not getting any younger. Could he have enough and just decide to accept the Wild’ offer later on in the process? Only time will tell. As for now, Maple Leafs fans and management keep waiting for the impasse to come to an end before December 1st.